The caterpillars pupate in their twig, anchoring it onto a branch or some other object. 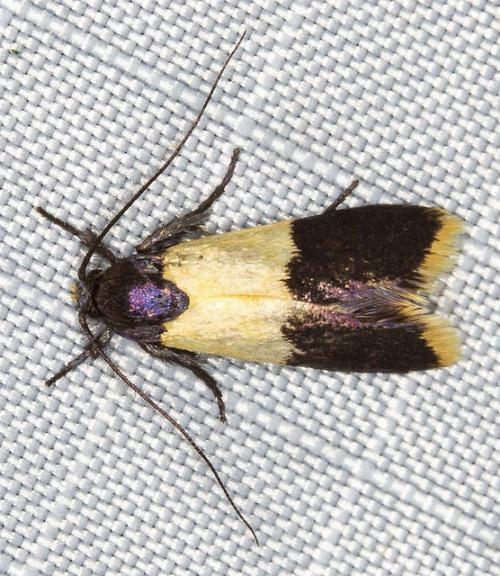 The adult moths have yellow forewings each with dark purple areas at the base and at the margin. The hindwings are pale yellow with dark brown margins. The wingspan is about 2 cms. CSIRO Publishing, Melbourne 1994, pp. 327, 329. Series 2, Volume 3 (1889), p. 1663.